The Native Pony Saddle Company Pony Club Saddle has been designed for all types of general purpose use and provides a secure seat for smaller riders. 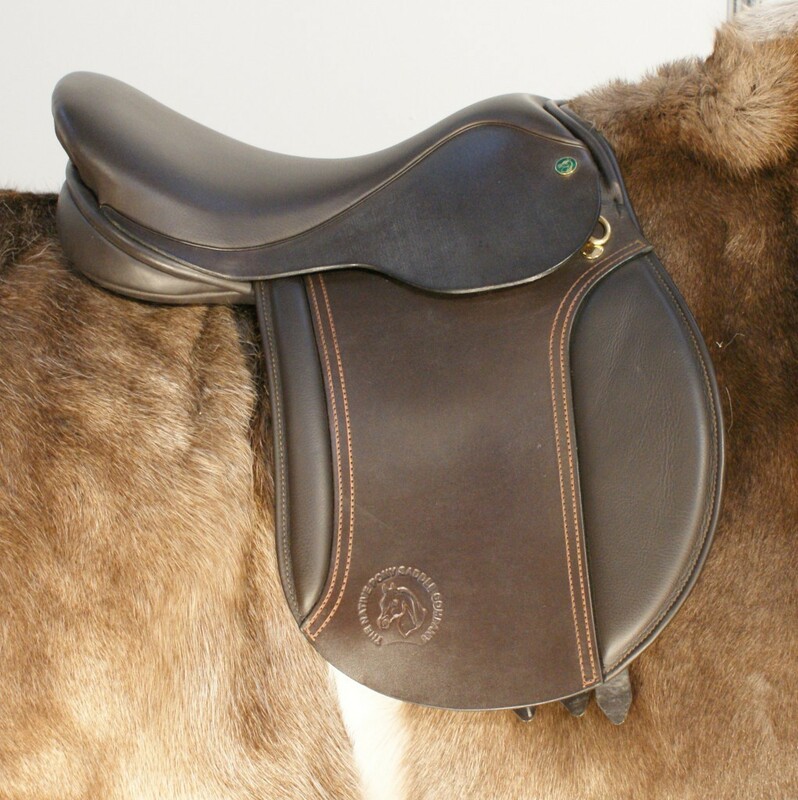 Designed with a built up pommel and cantle to give a deeper seat and larger knee blocks to give the rider added support, the Pony Cub saddle gives a secure seat for children or small adults. 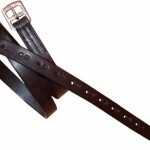 Suitable for both wider Native types, Icelandic Horses and narrower Show and Sports Pony types. 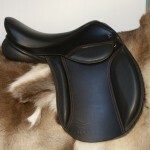 Size Choose an option13" (Special Order)14"15"16"
Please contact us to discuss this saddle and to place your order. 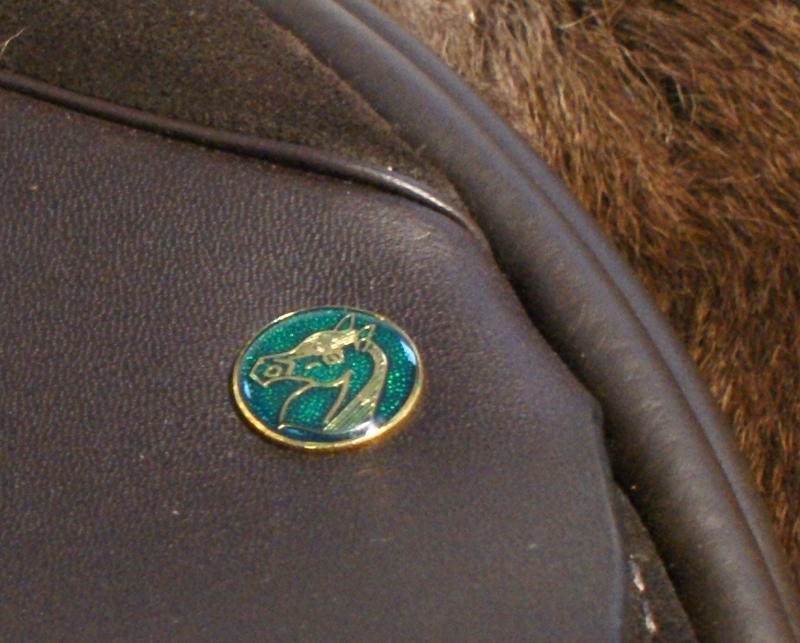 The panel of the Native Pony, Pony Club Saddle sits flat against the pony to ensure a good fit on those rounder breeds with a built up pommel and cantle for security. 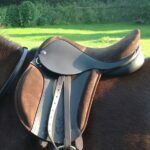 The Pony Club saddle comes in standard Rich Dark Brown and Black, seat sizes 13″, 14″, 15″ and 16″, available in all necessary tree shapes, panels and widths however wide or narrow the pony might be. Although made on our trademark flat, wide trees, the seat on the Pony Club saddle has been made in a way to allow for a comfortable leg channel, however wide the pony and with the built up pommel and cantle gives a very secure, deep seat. 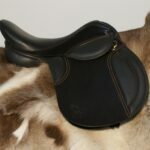 For a flatter more open seat please see our Native Pony Saddle Company Mountain and Moorland Saddle. With standard four girthing straps to allow accommodation of every girth groove position, wide wool flocked panels, softly flocked for comfort and maximum concussion properties and a wide gullet to accommodate the widest of spines. 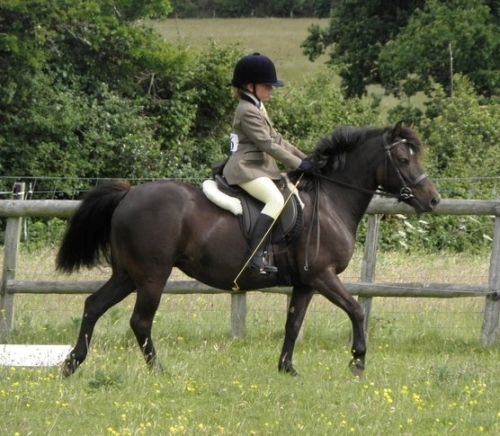 Horses and also the narrower Show and Sports Pony types with all sizes of riders comfortably accommodated from tiny child riders to small adults. 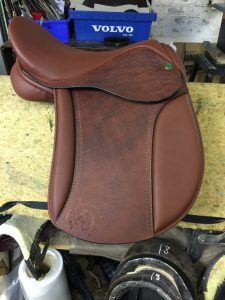 As with all saddles available from us a custom saddle can be designed for the individual customer if required with a number of options including custom knee blocks, twist, flap length or suede or doeskin seat or knee rolls so we really can produce the perfect saddle for you, we however recommend that you ride in a standard saddle for the 14 day trial so you are sure the style suits you before ordering so we can be sure the correct saddle is made as custom saddles are non returnable. 13" (Special Order), 14", 15", 16"